Orchard Country Produce Farm Stand - This farm, located in in Cumberland County, Pennsylvania brings fresh produce (vegetables, fruit, jams, meat, eggs, cheese, baked goods) to Belle View Boulevard near the gazebo every Thursday from 3:00 pm to 7:00 pm from May through December. If you miss them on Thursday, you can visit the stand on Saturday at St. Luke's Episcopal Church's parking lot. It is three miles south of River Towers on 8009 Fort Hunt Rd, Alexandria, VA 22308. The stand is open 8 am to 1 pm every Saturday from May through December. Old Town Farmers Market - The market is located on 301 King Street and is open on Saturdays from 7 am to 12 pm year round. 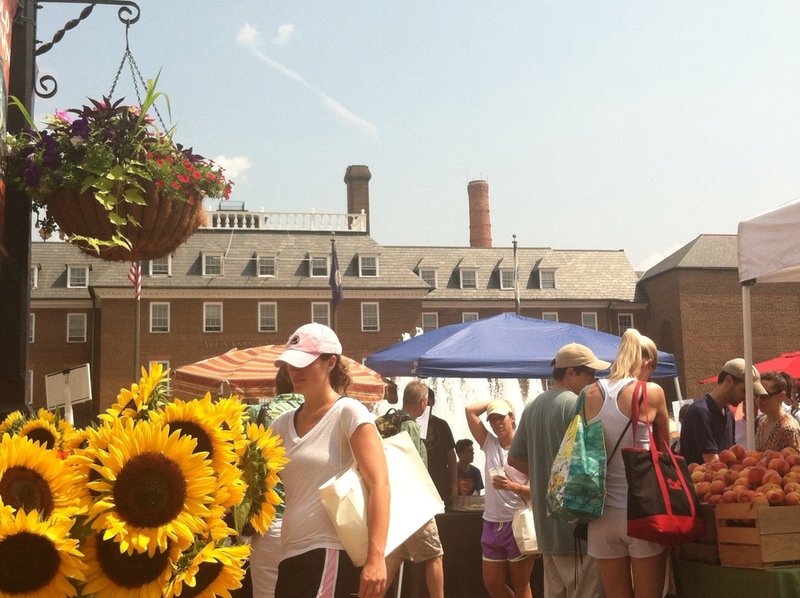 This farmers market in Old Town Alexandria's Market Square is thought to be one of the nation's oldest continually operating farmer's markets. Farmers and artists have been selling their products since 1753. George Washington sent his produce from Mount Vernon to be sold at the Farmer's Market. Today, visitors to the market can park for free in the Market Square garage during Saturday hours of the market. Del Ray Farmers Market - The market is located on the corner of East Oxford & Mount Vernon Avenues on Saturdays from 8 am to noon year round. McCutcheon/Mt. Vernon Market - The market is held in the Sherwood Library's parking lot. It is open on Wednesdays from 8 am to 12 pm from May 4 to December 14. All products sold are produced by vendors within 125 miles of Fairfax County.